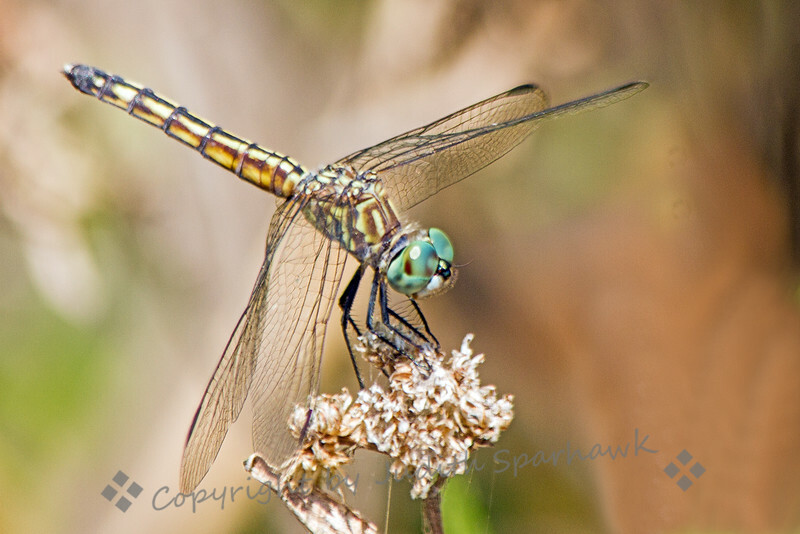 While birding at San Jacinto Wildlife Area, I noticed that September is apparently a good month for dragonflies of many types. They may be migrating through, and I noticed many were just flying around, and not lighting. This one paused for its close-up.